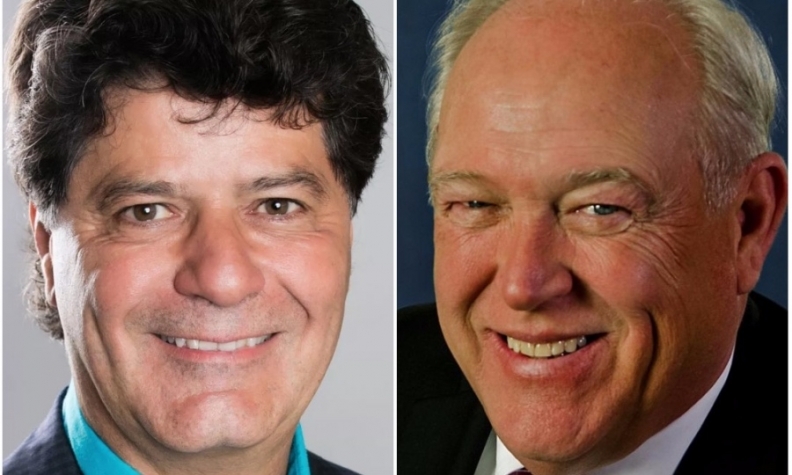 Unifor president Jerry Dias, left, and his American counterpart, United Auto Workers president Dennis Williams, are seeking to increase wages in Mexico. TORONTO -- Canada’s Foreign Affairs Minister Chrystia Freeland is again meeting with key players in the auto industry as NAFTA renegotiations continue. Freeland met with Unifor president Jerry Dias and his American counterpart, United Auto Workers president Dennis Williams, Friday in Toronto. Ahead of their closed-door meeting, Freeland reiterated that Canada wants renegotiations to touch on labour provisions, the environment and gender. Unifor and the UAW issued a joint statement after the meeting. Dias and Williams said a sticking point is low auto worker wages and standards of living in Mexico. That has allowed Mexico to take advantage of its low wage rate, lack of free collective bargaining and non-existent health, safety and environmental standards to lure auto companies looking for the cheapest place to set up shop, Dias has said in the past. Friday’s talk comes just days after U.S. President Donald Trump told a campaign-style rally in Arizona that the country will pull out of NAFTA "at some point." Autos emerged as a key issue as NAFTA renegotiation talks began last week. U.S. Trade Representative Robert Lighthizer opened discussions by pointing to the manufacturing sector as a reason why Americans view NAFTA as a failure. He discussed the auto sector in the greatest detail, saying that thousands of American workers have lost their jobs.